Anatomy of Ear | Deafened But Not Silent. Many people think that a hearing loss simply means that we need to make things louder. It is actually more complicated than that. Not only do we need to make sounds louder, but we also need to make sounds clearer. Most people have what is called a sensorineural hearing loss. This usually means that the tiny hair cells of the inner ear, or cochlea, have been damaged. This link here has an excellent picture of both healthy and damaged hair cells of the cochlea. I have added the picture below. 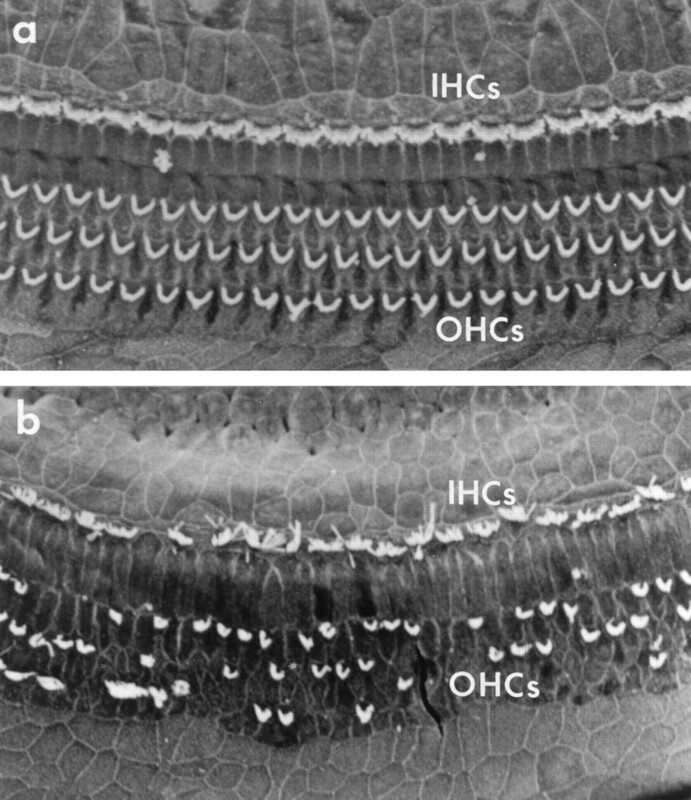 The cochlea has 2 types of hair cells; inner hair cells (IHC) and outer hair cells (OHC). The function of the outer hair cells (OHC) is actually to make soft sounds louder. These are the first to get damaged. If this were the only damage you have in your cochlea then amplifying only the soft sounds is all you need in order to hear better. The second type are called the inner hair cells (IHC). Inner hair cells actually trigger the nerves that send the message to your brain. As you can see from the picture, the inner hair cells can also be damaged. The greater your degree of hearing loss. the more damage you also have to the inner hair cells. Inner hair cell damage results in pieces of sound missing altogether. It makes speech unclear. It makes it harder to pick out speech from background noise. For musicians, it makes it harder to recognize the correct pitch of a note. Today’s modern digital hearing aids that carefully amplify soft sounds more than loud sounds and amplify certain pitches more than others, do a very good job of replacing the function of the outer hair cells. But as the hearing loss gets greater and you have more inner hair cell damage, we need to clean up the signal even more. In my next blog entry, I will explain how directional microphones and remote wireless FM systems help to clean up the sound and make hearing aids work even better.